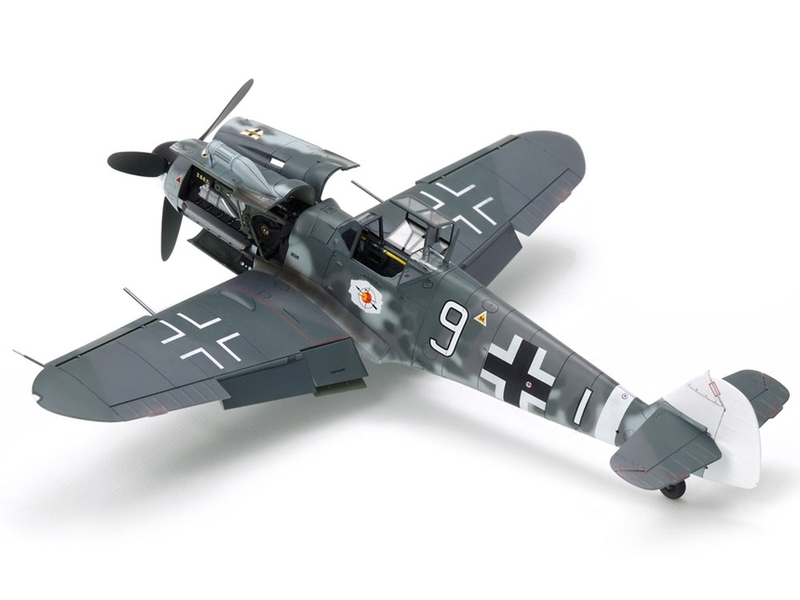 •	The model recreates a parked aircraft. •	Richly-detailed depiction of the DB605A engine, a multi-part recreation. 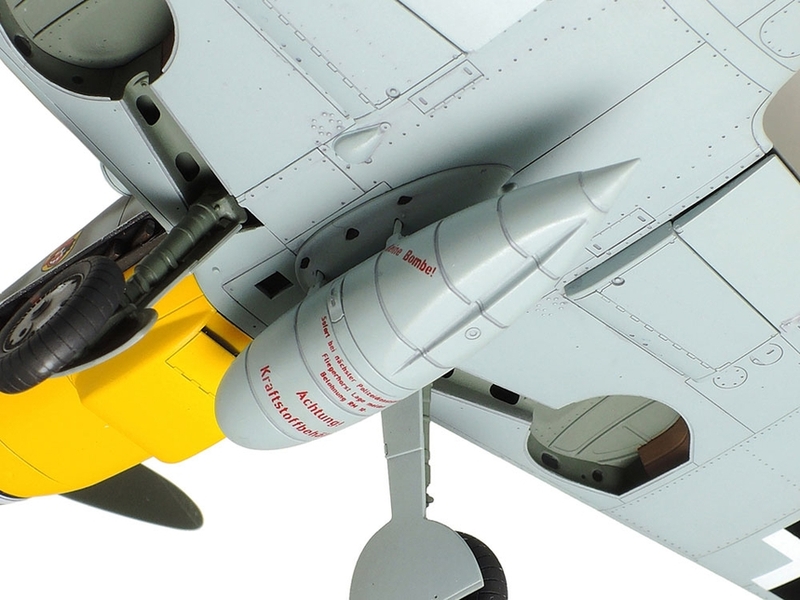 Engine cowlings can be depicted open to show off the beautiful rendering, complete with fine depictions of various auxiliary components. 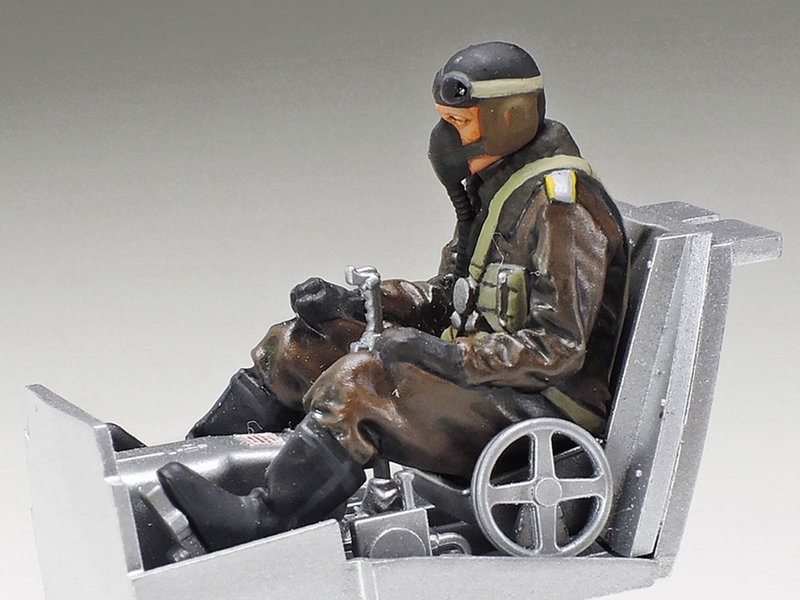 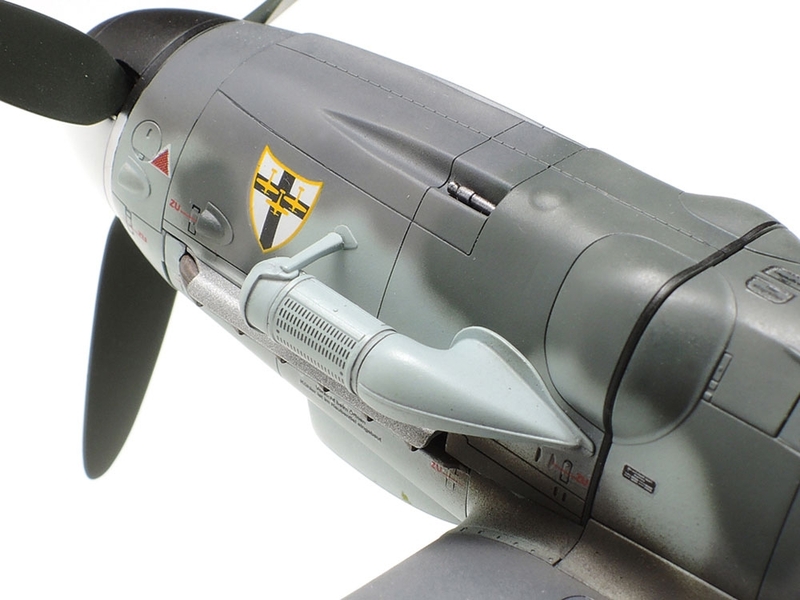 The cowlings can also be depicted as closed. 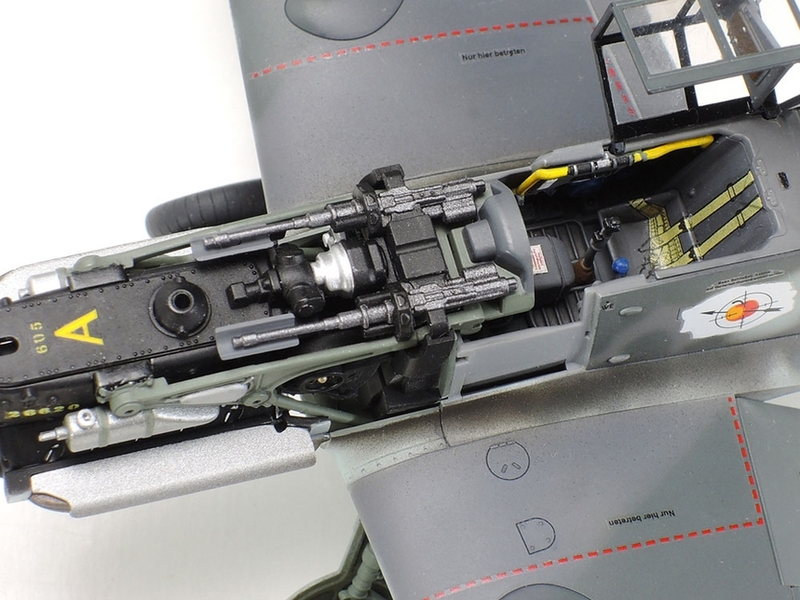 Cowling and engine parts are attached via magnet to allow their exchange after the model has been assembled. 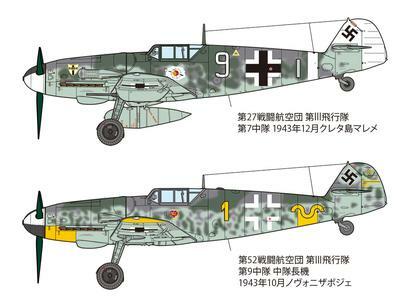 •	Distinctive dual radiator flaps in wings can be depicted in up or down positions, or a combination of the two. 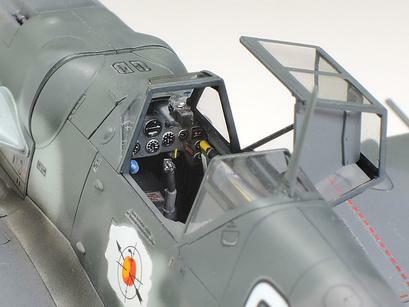 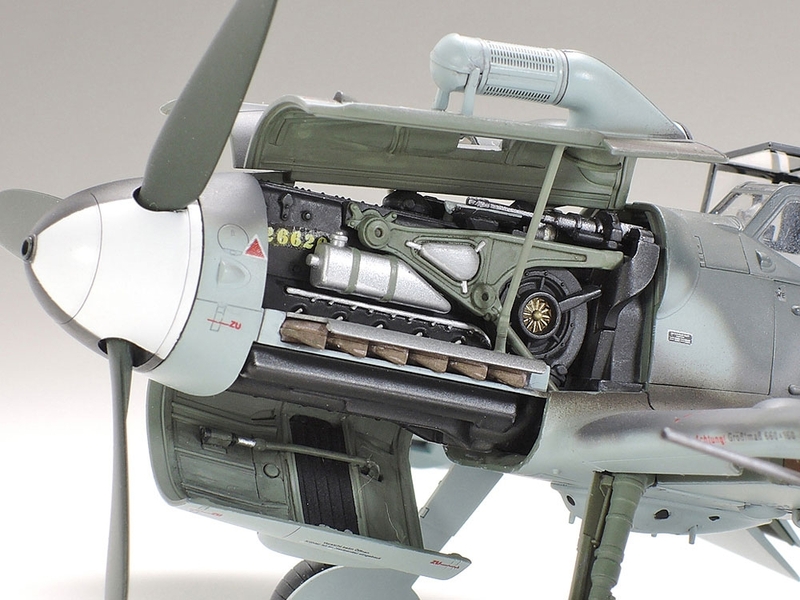 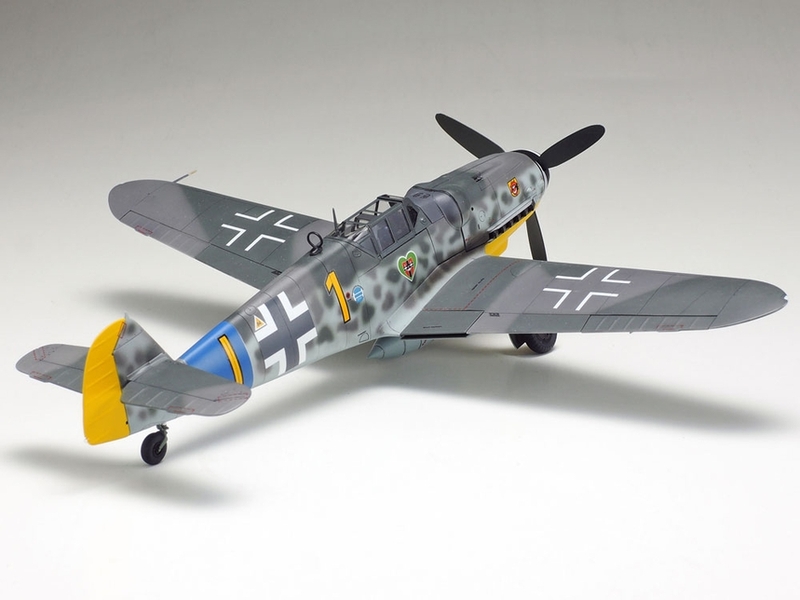 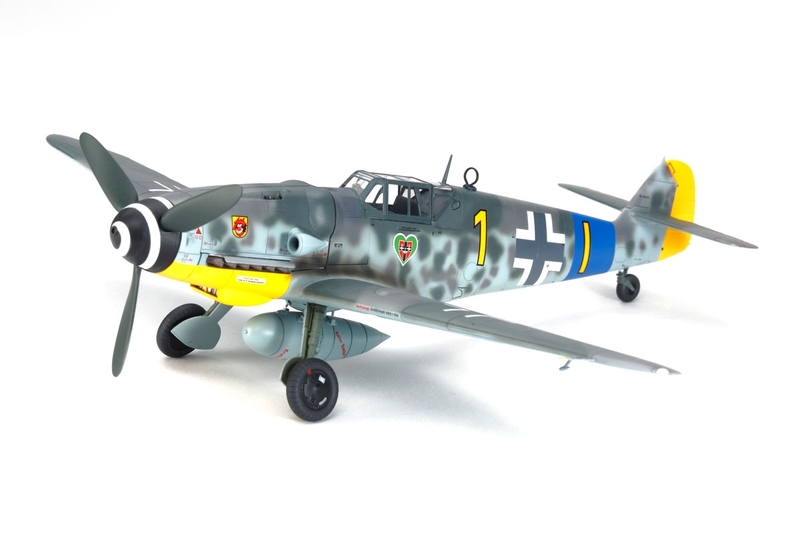 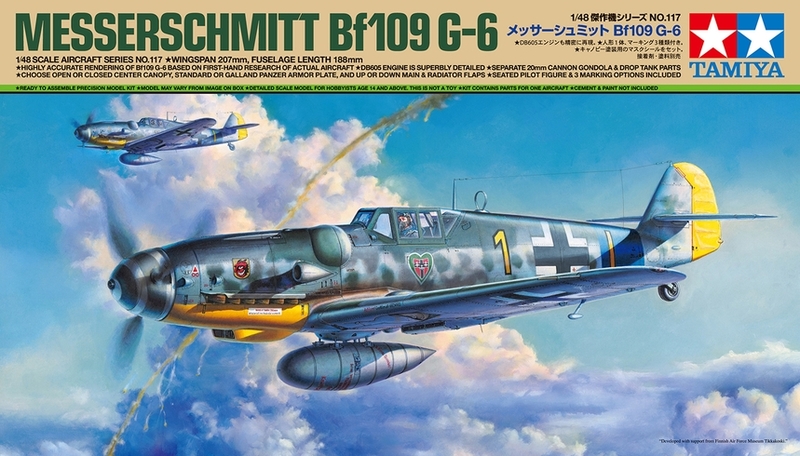 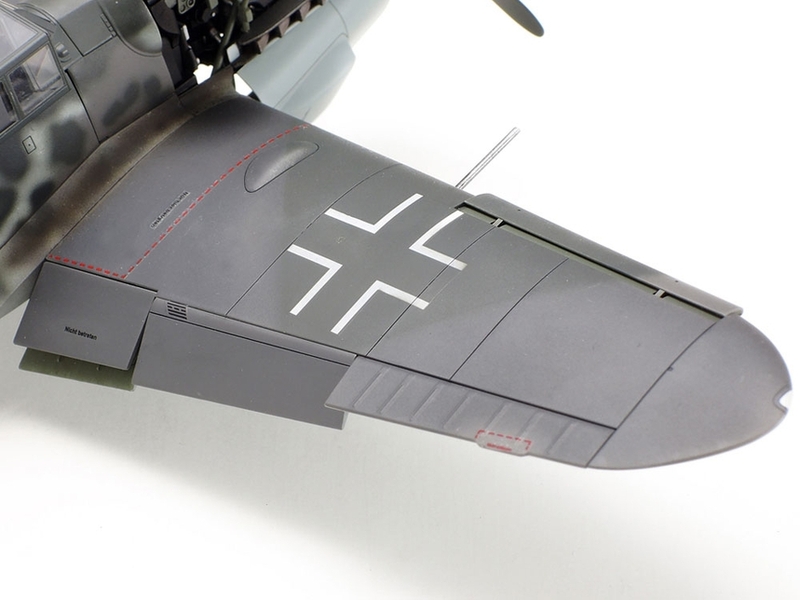 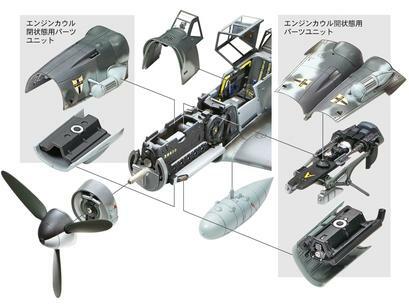 •	Parts are included to recreate drop tank. •	Can be assembled with canopy in open or closed position. 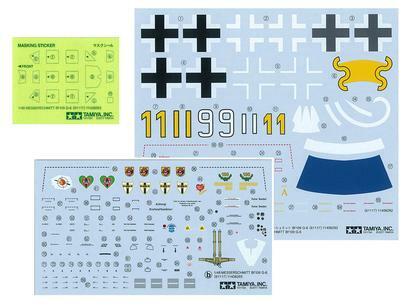 •	Kit includes 1 figure and 3 marking options.